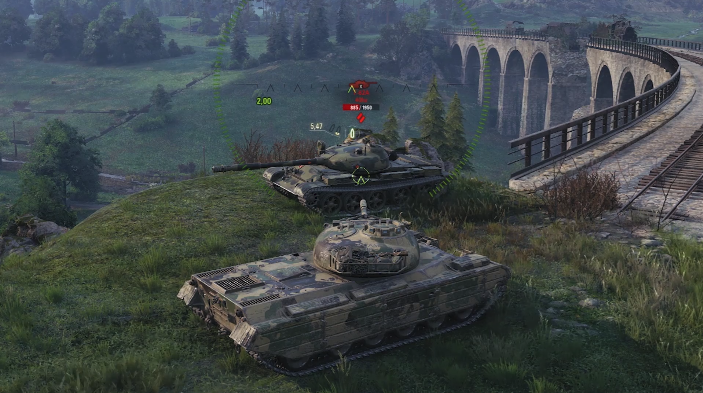 Ever since Wargaming launched World of Tanks nearly eight years ago, the company has been all but synonymous with its free-to-play smash hit. Along the way, it has acquired Gas Powered Games, established two publishing labels in Wargaming Alliance and WG Cells, rebooted the classic strategy franchise Master of Orion through its WG Labs innovation platform, and branched out into casual games through a partnership with Melsoft. 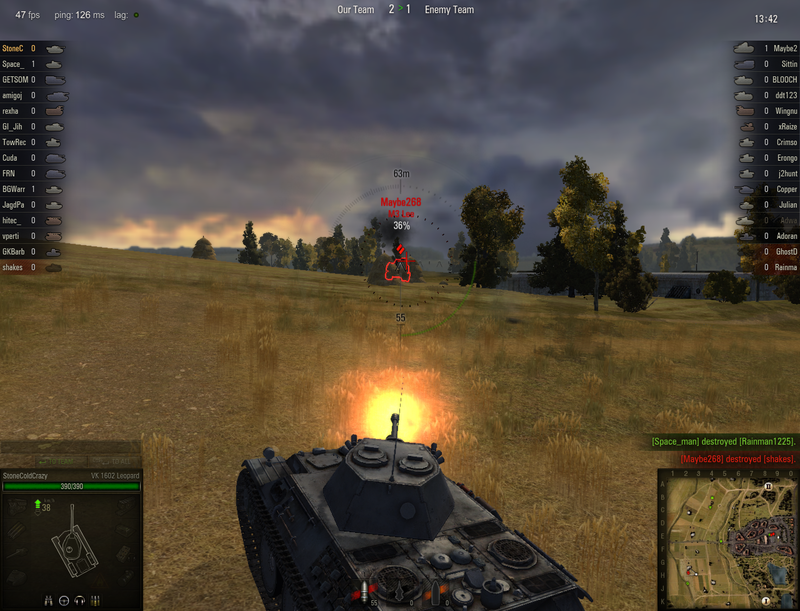 Despite it all, World of Tanks is still the company's defining success. That doesn't look to change anytime soon, as Wargaming recently launched its 1.0 update for World of Tanks. More than just another in a long line of new versions (the game has seen about 70 updates since launch), the 1.0 release represents a more fundamental overhaul for the game, swapping out the engine it's running on for a complete visual and audio overhaul. Speaking with GamesIndustry.biz at last month's Game Developers Conference, Wargaming CEO Victor Kislyi said the update should help dispel any notions people have about free-to-play games looking cheap next to their premium priced AAA counterparts. "With 1.0, we're on the same level as Battlefield now, and those big AAA level titles," Kislyi said. Work on the new engine began about two years ago, which is also about the time Wargaming had noticed growth in World of Tanks plateaued. In some ways, that's a matter of the game simply reaching its addressable market. "Truth be told, there were a couple years where we were maybe a little arrogant, a little less enthusiastic or whatever..."
"In countries like Russia, we've reached saturation of the population. It's very difficult to find a male person from 10 years to 50 years with a connected computer who hasn't heard about World of Tanks." In other ways, Kislyi acknowledge, Wargaming took its eyes off the prize. "Truth be told, there were a couple years where we were maybe a little arrogant, a little less enthusiastic or whatever, but we made a couple mistakes," Kislyi explained. "We weren't pushing hard enough and relaxed a little bit. We also started making other projects, etc. But a little over two years ago, we realized this World of Tanks game is going to be running for the next decade or two, so it's not yet time to get relaxed. "The demands of the player for quality and new content were getting louder and louder, and they were not showing any signs of going down. We turned back our faces to our players, and the results you can see now. [There are] hundreds of people working on World of Tanks, and will be working on it for the next 10-20 years. We went back to listening to our players, making what they want, as well as surprising them with things we know they will like." That said, gaming communities aren't always known for liking drastic change. Kislyi said Wargaming focused on ensuring the flashy new engine would be welcomed by all, particularly its considerable player base who may not have systems capable of running something on the same level as Battlefield. "Low spec computers are our bread and butter," Kislyi said. "This would look very nice on a $2,000 rig, but in countries like Russia and China, which are big for us... The beauty of this engine technology, and we specifically tailored it for this, is that your old computer will run it. You will have no less beautiful an experience, and in many cases a faster frames per second. No computers will be cut out. At all. Like, zero. We tested it." Outside of the games-as-a-service model, an overhaul like World of Tanks 1.0 might be marketed and sold as a completely remade game. But with the ability to push updates that significant to the game, it begs the question as to what limitations Wargaming sees with the update process. Would they ever need to consider a World of Tanks sequel when the original can be changed to accommodate whatever they might want to add to the game? "Technologically, we can switch invisibly to a new engine with just a couple of hours of downtime," Kislyi said. "I think it would be a crime against humanity to switch this one off and come up with a new one because of all the progression and tanks people have, their statistics and medals and everything." "I think it would be a crime against humanity to switch this one off and come up with a new one because of all the progression and tanks people have, their statistics and medals and everything"
Moving the action to different eras or bringing in a sci-fi theme might be better served by a separate game instead of an update, Kislyi said, but the focus for World of Tanks and the World War II setting now is about tweaks. He wants to bolster the PvE options, introduce new campaigns, and improve the on-boarding experience for new players. That last element in particular could be key for World of Tanks' growth in new markets, Kislyi said. "Russian people are more tolerant towards PvP, they love tanks and are more patient getting killed a lot early on," he said. "Western audience is more demanding and less patient, so we have to pay more attention to you when you just download and start playing. It should be less punishing." Wargaming may be planning on World of Tanks as a point of focus for the next couple decades, but it's not backing away from the rest of the business. The World of Tanks offshoots World of Warplanes and World of Warships may not have replicated the success of their inspiration, but Kislyi defended the accomplishments of both. "It's coming up," Kislyi said of World of Warplanes. "The team spent years trying to find this magic sauce which we didn't find initially, and it looks like we're hitting the right buttons now, and it's getting better. And World of Warships is a big success. Of course it looks smaller than World of Tanks, but I bet 99% of games would love to have the same moderate success of World of Warships." Kislyi said Wargaming also has various R&D efforts throughout the company, some of them officially detailed on the books, others the inevitable result of developers' desire to tinker with new ideas unrelated to their core projects. He also noted the company's move into casual gaming through its partnership with Melsoft. "You don't use 'Wargaming' for women's games, right? Melsoft has MyCafe, and it's growing quite fast. It's a simulator of a café where you buy equipment. I myself don't play that, for obvious reasons. But yes, we're experiment and from time to time, we hit sweet spots." Melsoft highlights one of the restrictions of Wargaming brand and the overwhelming success of World of Tanks. A company so closely identified with such a project can find itself pigeonholed into that field. For example, Kislyi suggested a city-building game wouldn't really be an appropriate fit for Wargaming at this point. But as the deal with Melsoft showed, there are avenues for Wargaming to pursue those sort of atypical projects. When asked by whether the success of World of Tanks was ever restricting to what he wanted to do with the company, Kislyi's answer was unexpectedly introspective. "It's like philosophy, like Buddhism," Kislyi said. "You never stand still. You're always developing. It's matter and energy exchanging for each other, taking different forms. And I like it. There is no yes or no answer to the question you posed." "You don't use 'Wargaming' for women's games, right? Melsoft has MyCafe, and it's growing quite fast. It's a simulator of a café where you buy equipment. I myself don't play that, for obvious reasons." Only thing WoT has going for it is that it has tanks. Gameplay? Only enjoyable if you are a clueless noob. They're really good at putting pearls on swines though.